I really enjoyed this book.It's a fairly quick read for being packed with so much interesting stuff. Benjamin Thompson, later taking the name Count Rumford, lived the most fascinating life of anyone I've ever known or read about. He was born into a poor farming family in America in 1753. 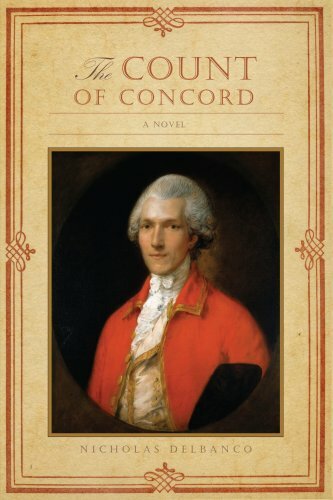 At 19 years old, he marries an incredibly rich 30-something year old woman setting himself up financially for the rest of his life.When the Revolutionary War breaks out he stays loyal to England and begins working as a spy.He develops and uses invisible ink to send secret messages and begins having an affair with the wife of the owner of a revolutionary newspaper. When the war turns sour, he flees to England where he is given a heroes welcome. He lands a cushy government job and uses his free time to work on his true passion: scientific experiments, mainly involving heat. He is the inventor of central heating, the drip coffee pot, greatly improved fireplaces and lanterns, and many others.He also set up the worlds first homeless shelters, soup kitchens and was knighted for services in both England and Bavaria.While in Bavaria he was also briefly made general commander of the entire army and during that time, used his skills of persuasion to avoid being drawn into a war between Austria and France, becoming an overnight hero. Sadly, most people have never heard of him. Interesting tidbits, good info on why fireplaces smoke. 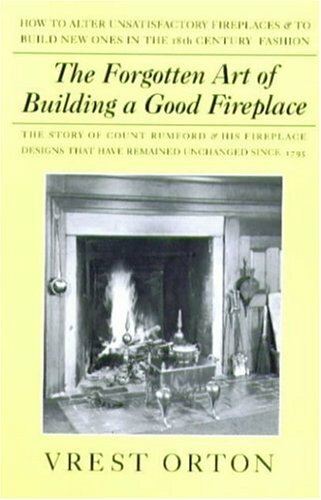 Author gives lots of interesting info on Rumford, then gives the essence of critical aspects of how to build a fireplace that doesn't smoke. I applied the info to make my improperly designed fireplace stop smoking using without spending a fortune. We rebuilt an old Virginia farmhouse in 1980 using some plans from a Vermont architect whose names escapes me. Friends and family have always commented on the extraordinary warmth that one of our two fireplaces radiates (the other fireplace that is, basically, worthless was put in when we added another room in the 1990's and allowed a local mason to construct according to his personal ideas). The fireplace that was built using the directions of the Vermont architect closely follows the concepts and measurements that Mr. Orton describes in this DELIGHTFULLY written little tome. Our Tidewater Virginia winters are extremely light compared to Vermont's but, even so, we love our quasi-Rumford fireplace which is fired up daily from October til Spring---throwing off tons of radiant heat. 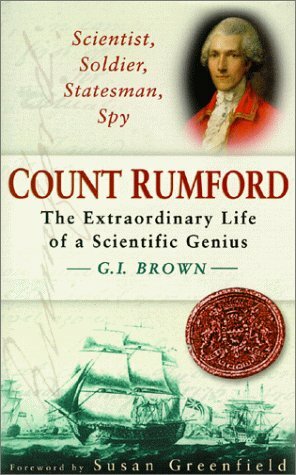 I am getting a copy to give to friends who are preparing to build a house and might want to know about Count Rumford and his design. The Forgotten Art of Building a Good Fireplace. Thank you Mr. Orton for this much needed book. It has what we need to know about building a good fireplace and how the other designs fall short.This book has helped drive a movement toward the construction of this type of fireplace. There are 2 houses owned by my relatives that had Rumford style fireplaces built in the 2nd quarter of the 1800's.One of them had the livingroom fireplace rebuilt in the 1940's and later replaced by a room intruding wood stove, neither change ever worked to anyone's satisfaction.The other house's parlor fireplace proved to be so efficient that when in use with just a small amount of wood the room radiator had to be shut off.Three cheers for this book. It demystifies the principles, genius and construction of a truly efficientfireplace without the loss of the contemplative aspect of an open fire.Benjamin Thompson is man we should all know about. I had hoped for something a bit thicker than the credit card I ordered it with.Don't expect a book with much in it.Look elsewhere for detailed plans.This only has a few conceptual sketchs that could be shown on a single page. More blueprints, less politics please.